AlteCocker at Featherdale Wildlife Park just outside of Sydney--having fun before IF2 arrived. AlteCocker is very bad at this. While she has had some wonderful experiences with friends, there are the former "friends" who go into the Travel Companion Hall of Shame. Traveling together with anyone is like a marriage. You have to make compromises. Some marriages are made in heaven and some in hell. Some people are so self centered that they think the trip should be all about them. Those people are better off not traveling with AlteCocker. Before agreeing to travel with anyone, AlteCocker always talks with them about agreeing to terms. Since AlteCocker finds the home exchanges, travel companions must understand that she is in the driver's seat--both literally and figuratively. AlteCocker has her agenda--and owns the keys to the car. Travel companions need to understand that, if AlteCocker decides she needs time apart, the travel companion will be on his/her own and probably without a car. Similarly, if travel companions want to see something in which AlteCocker is not interested, they are on their own to get there. When AlteCocker was injured in Rome, her travel companion was the best person she could have imagined. AlteCocker was in more pain than she had ever experienced in her life and her travel companion was a gift from the gods. Waking up in the hospital after a 3 1/2 hour operation to set my fracture, she was there--despite the fact that AlteCocker had strictly instructed her not to come to the hospital and to go see Rome. She's a good friend. She can travel with AlteCocker anytime and I would do anything for her. She is the first one I ask when I am home exchanging. AlteCocker would have acted, she hopes, just as her friend did had the tables been turned. But, it doesn't always happen this way. Ih 2007, AlteCocker went on a home exchange to Vienna, Austria. A friend asked if she could go with her and AlteCocker, who always likes company, said "yes". This person will be known as Inconsiderate Friend1 for the purposes of this piece--or IF1. While IF1 and AlteCocker were in Vienna, IF1's daughter, a then a high school student, was in Spain. Constant calls from Spain resulted with a stream of complaints--and IF1 could not turn her phone off. One night, while watching the musical "Elisabeth" in Budapest on a 3 day side trip, the phone went off in the theater disturbing everyone. While IF1 got up and moved outside to handle the 25th kvetch phone call from her daughter, AlteCocker was embarrassed--and angry. IF1 was simply unable to give AlteCocker's needs any priority because she was so involved in helicopter parenting her daughter. She could not turn off the phone--and she disrupted the whole vacation. The worst is that she seemed to be totally unaware as to how inconsiderate she was being. IF1 also had a litany of food/wine she didn't eat/drink and a lot of what AlteCocker felt were imaginary health problems. Everything had to be run around IF1's needs and AlteCocker's might as well have not existed. If AlteCocker wanted to try some unusual food, we couldn't go because the food did not agree with IF1--never mind the time IF1 kept AlteCocker waiting for an hour when a prearranged time had been set to meet. When she arrived late, she made a perfunctory apology. Not wanting a confrontation, AlteCocker said nothing. AlteCocker resolved never to travel with IF1 again. Well, it didn't quite happen that way because there was Melbourne, Australia. IF1 found out that AlteCocker was going and announced that--get this--rather than let the daughter, now a junior in college, fly there herself to study abroad, IF1 would accompany her to Melbourne and then horn in on AlteCocker's home swap. AlteCocker tried to tell IF1 that she did not want her to come, but IF1 just didn't get it. Now AlteCocker feared that really confronting IF1 with her concerns would have disrupted what remained of the friendship after Vienna. She didn't do it--and she made a grievous mistake. Before leaving, AlteCocker predicted to friends that the travel arrangement would not last a week. It lasted 3 days. Once again, the whole trip became about IF1's daughter--and the daughter was only a mile away from the home exchange this time. The phone rang day and night and IF2 would rush right over to deal with "problems" such as not knowing how to make an Australian phone work. At one point, IF1 said she could not go to the theater that night because her daughter said she was homesick and wanted to go back to the US; she walked out on me in the middle of a museum--a museum, of course, that IF1 chose for both of us to visit. Finally, on day 3, AlteCocker did what she should have done in the US--she confronted IF1. She told IF1 that she had a decision to make because AlteCocker was trying to have a vacation and, well, things had to change or IF1 needed to get out of her way. IF1 said her daughter's needs had to come first. AlteCocker told IF1 again that she had a decision to make. AlteCocker then went out and deliberately did not return until late, while IF! went over to her daughter's dorm room again. When she returned IF1 had cleared out and AlteCocker heaved a sigh of relief, but that was not the end of it. Several days later AlteCocker did a wine tasting tour of a few wineries in the Yarra Valley. When she does wine tasting, she often will take a bus tour so she doesn't have to worry about how much she imbibes. Since it was off season, various tours were combined and guess who turned up on the initial bus? Yes, IF1. When AlteCocker said, "hello" to her, IF1 just scowled--and she carefully kept that scowl on her face until she got off the bus to go somewhere other than wine tasting (If1 is supposedly allergic to red wine, so she couldn't go wine tasting--thank goodness). AlteCocker guesses she is still angry. We have not spoken since. And then there is IF2--who wins the First Prize for inconsiderate travel companion. IF2 heard AlteCocker was going to Australia in 2012 with a series of home exchanges. She decided to come with AlteCocker for part of the trip. Again, AlteCocker welcomes companionship, but she does not welcome self-centeredness. AlteCocker had a very frank talk with IF2 about the amount of money required and told IF2 if she didn't have $6,000 cash with her not to come; Australia is the only country AlteCocker knows that makes Norway look like a bargain. IF2 lied and told her she had the cash. Fortunately, as it turned out, IF2 was only joining AlteCocker for part of the trip. AlteCocker did inform IF2 that the itinerary was set and not subject to negotiation. IF2 arrived in time to join AlteCocker on the Tasmania leg (one week) that involved 4 nights in hotels in Western Tasmania and then a 3 night home hospitality returned in Hobart (the Tasmanians had previously been hosted by AlteCocker). IF2 immediately began to negotiate about some damn zoo she wanted to visit that was labelled as a Tasmanian devil research center. AlteCocker had to remind her that that zoo was way off the track of the itinerary and that we were not going. Bad start. And then there was L'Affair du tire. Because IF2 was just off the flight from the US, AlteCocker did not ask her to do any driving for 2 days. Finally, she asked if IF2 was ready to drive. Within 5 minutes, IF2 was driving too fast. AlteCocker told her to slow down and got the response citing the speed limit. AlteCocker said that she did not care what the speed limit was, IF2 was driving too fast for the unfamiliar mountain roads we were on--add to that that Australians drive on the left instead of on the right and IF2 had not yet adjusted. Within the next 5 minutes IF2 nearly drove off the left side of the road. Fortunately, there was no damage to the car, but the left front tire began to need air quite frequently soon afterward having been scraped in the process. Eventually the tire went flat in Hobart while IF2 was on an excursion to Port Arthur and AlteCocker was at the top of Mount Wellington. AlteCocker had to spend her afternoon swapping out the car, as the tire could not be changed on a weekend. When AlteCocker confronted IF2 about the damage to the tire, IF2 refused to pay and stuck AlteCocker for the cost of the tire. She claimed AlteCocker was responsible because she was driving the car at the time it went flat--never mind that she had scraped it. Really nice, no? It only got worse. There were continual arguments about a variety of things--all rooted in the problem of IF2 not having enough money. You can't go out to dinner with someone in a fancy restaurant where a tip is expected and not get embarrassed if your travel companion leaves, say, 50 cents for a $30 meal. When AlteCocker "called" IF2 on the tipping, she was told to "mind her own business" and that Australians don't tip (true in run of the mill places like pubs, but in fancier restaurants the rule is 10%). 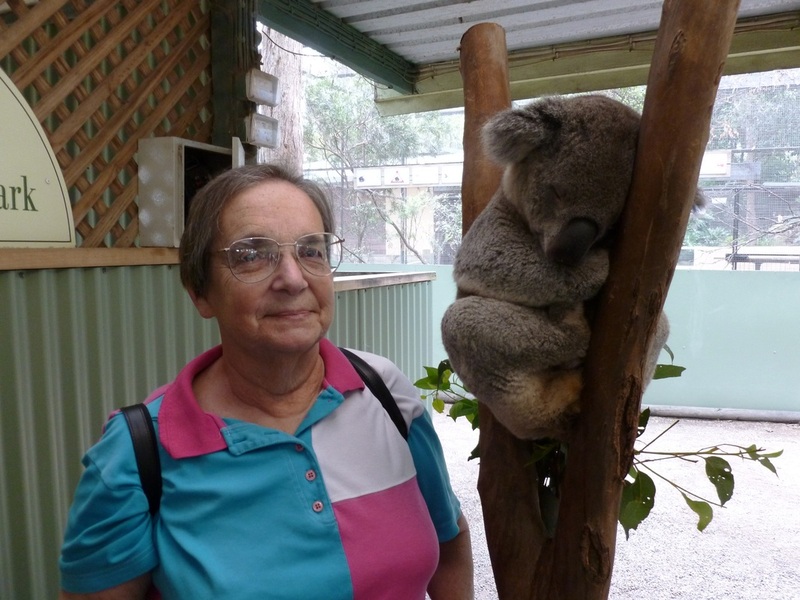 IF2, who had never set foot in Australia before, knew everything as soon as she landed. The tension was continual. In Canberra, the home exchange after Tasmania, things only deteriorated. AlteCocker had had major surgery on her left shoulder and in Canberra there was a left hand shift car. IF2 announced that was not doing any driving because AlteCocker arranged the home exchanges and she did not feel "comfortable" driving the car (Of course, the splitting up of the driving had been discussed and agreed to before the trip). At that point, AlteCocker should have told IF2 that she was taking the bus (and we were far out of the city where that would have been difficult) or moving out. She didn't because she really did not want a confrontation and the relationship limped on until, mercifully, IF2 left to visit friends in Melbourne and go to the Great Barrier Reef (she had plenty of money to do that from not tipping I guess). AlteCocker knows how to drive a shift car and played chauffeur for about a week, kvetching every time she had to shift because her shoulder hurt. IF2's response? One time in the middle of a drive, IF2 said--get this--"It's so nice to be a passenger." AlteCocker riposted, "It must be nice" with a large dose of sarcasm. AlteCocker had turned into the tour director and IF2 the lazy client. That is a no go for a successful trip. Unfortunately, after her schlep to Melbourne and the Great Barrier Reef, IF2 returned to join AlteCocker in Sydney. At that point AlteCocker should have told IF2 that she could not stay, but AlteCocker knew that would have been disastrous for IF2 because IF2 was broke. She handled it another way. She told IF2 that she was not doing anymore driving because a car was not necessary in Sydney. AlteCocker also told IF2 that she was on her own because she had already seen all the main sites of Sydney and would be doing other things with friends. Basically, IF2 was not included. AlteCocker felt liberated. Now, IF2 was staying for free at the home exchanges. One would think she would have been the least bit grateful, but, no. The house (the infamous dead fly home) was dirty. Staying for nothing and not lifting a finger, IF2 expected AlteCocker to clean up the house to meet IF2's expectations! She left dirty dishes in the sink overnight after complaining about insects (she said she only cleans her dishes once a day!). She thought I should confront the home exchangers long distance about the condition of their home--something that would have been pointless. Finally, IF2 complained about ants in her bedroom and that AlteCocker should "do something" about it. AlteCocker had had enough. She turned to IF2 and said there would be no hard feelings if she just moved out, but, if she wanted to stay, she just had to SHUT UP!--and she could buy ant buttons at the store. IF2's reaction was to barricade herself in her room and see nothing of Sydney during her stay. Maybe she expected AlteCocker to pay for outings because IF2 blew her spare change at the Great Barrier Reef; maybe she never had money in the first place. In any event, AlteCocker was not paying--and got the silent treatment from IF2 for the rest of the trip (when IF2 was not complaining about how she hated Sydney!). AlteCocker did not care because the silent treatment was a lot better than the kvetching. Fortunately, IF2 left Australia before AlteCocker and left her in peace for the end of her trip. AlteCocker did nothing with IF2 during the entire stay in Sydney--and, it goes without saying, IF2, never thanked AlteCocker for putting up with her. AlteCocker will think long and hard about people joining her on trips in the future. It won't stop her from asking people, but she is going to be a bit more careful. Needless to say both IF1 and IF2 are off the friends list--and AlteCocker (especially with IF2) did not tell you the half of it. You have heard enough.